Here is an interesting experience for you to try: go at your local Gamestop, check the back cover of the best-selling games, and count the number of times you read something along the lines of “Explore an infinite open world”, “Discover the greatest open world ever created” or “The most immersive open-world experience ever created”. I have tried that experience myself, with my own collection of games, and counted something like a dozen instances of that phrase. Somehow, “open-world” has become a selling argument, if not a requirement for triple-A titles — the promise of countless hours of gameplay, an (apparently) infinite world to explore freely, and dozens of sidequests to complete in a fascinating universe. That’s a great promise. But to what cost? 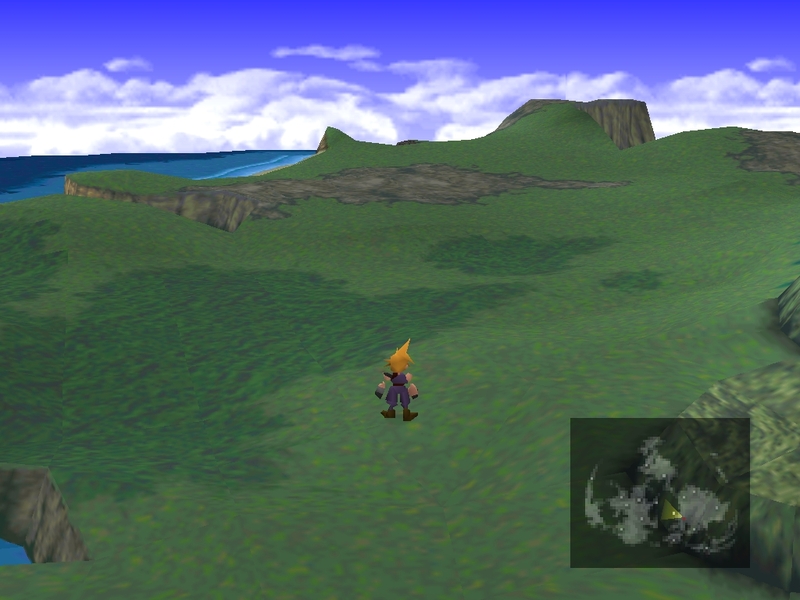 An open-world game, to define it briefly, is a game in which the player is given the liberty to move freely, to explore the world without any visible boundaries, without being forced to follow a given direction in terms of story or gameplay — as opposed to linear games in which the game forces the player to go from point A to point B by following a specific path. There is a main quest to complete with a linear narrative structure, but it is surrounded by sidequests that you may (or may not) complete at any moment, whenever you want, actually. With that definition, games like the Shenmue series, or the lesser-known Little Big Adventure (Relentless as it was called in its US version), can be considered pioneers of the open-world genre, as they let you wander freely in its universe. You can drink at the local pub and chat with the bartender, run errands at the village drugstore, apply for a job and earn some money, etc. The open world pushes the immersion and the story forward, in that it gives the player the feeling of actually inhabiting the game world, where he is free to explore and perform daily tasks or talk to whoever he wants. It is also a vision that is found in the Fable series, in which it is not only possible to apply for jobs, but also to have a family of your own, with a wife, a house and children. The open world becomes some sort of virtual second life — a whole world opens up to the player so as to serve the global coherence of the universe and of the story. 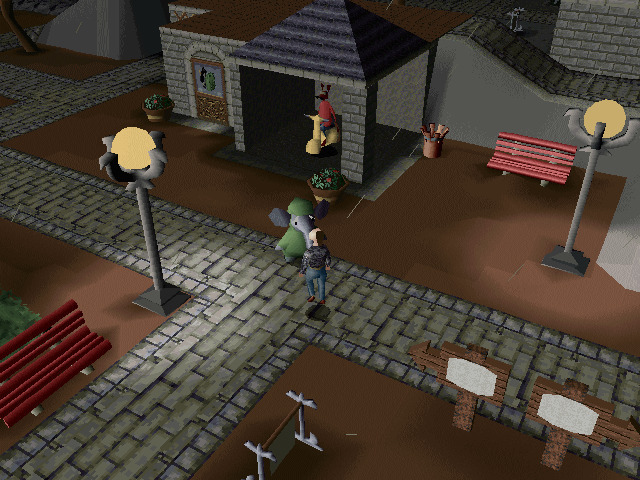 In the Little Big Adventure games, the protagonist, Twinsen, can talk with the world’s inhabitants, visit houses and shops, go from one island to another, etc. It is a common thread in many RPG games from the 1990s. The phrase “open-world” also refers to sandbox games — a genre primarily established by Rockstar Games with Grand Theft Auto or Red Dead Redemption, but further defined by Ubisoft with Assassin’s Creed, Far Cry and Watch Dogs. With these games, the open-world becomes more than a narrative tool, it becomes a giant playground filled with missions and quests to complete. The world generally hosts several points of interest that, once discovered, reveal new portions of the map. It also contains main quests and secondary quests, and more-than-secondary quests, and sidequests that are even more secondary, such as “Find the 500 flags and feathers hidden in the world”. These games are generally developed in a very artificial way, meaning that the tropes of the game-design are very visible: developers create 4-5 types of missions, then duplicate these into several quests that are then scattered throughout the whole map. It gives the impression that the game is very rich, with lots of sidequests and hours of gameplay, when the player actually alternates between the same 4-5 same missions. The last decade has been filled with this kind of open-world games, with variant degrees of quality and success, up to very recent titles such as Horizon Zero Dawn, which re-uses once again this specific formula. Other titles use algorithms to generate infinite worlds (Minecraft, No Man’s Sky), for countless hours of gameplay. The open-world genre has become, in a decade, a never-ending competition for bigger worlds, bigger maps, bigger games. 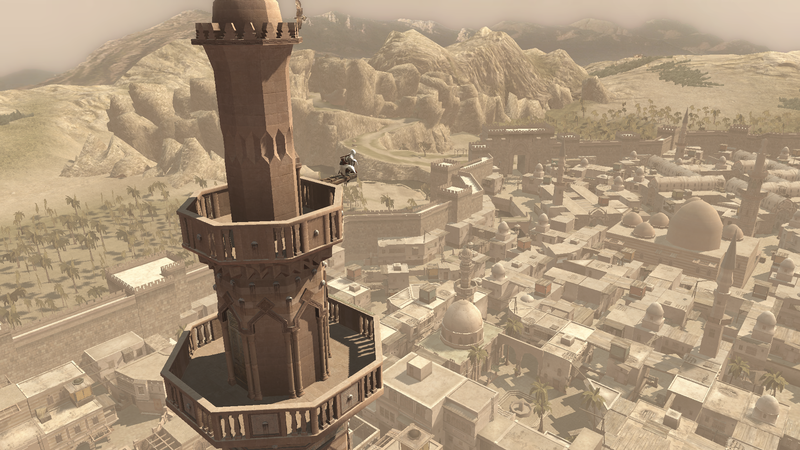 Assassin’s Creed has popularized the concept of “synchronization points”: a tower you have to climb upon to reveal new portions of the map. Several open-world games use a similar concept. If I am critical about open-world games, it is precisely because I believe publishers and developers have overloaded the market with such titles over the past few years. “Open-world” has become a selling argument, a way of justifying the expensive cost players have to spend to buy a triple-A game — “hey, at least you’ll spend 100+ hours playing the game”. The problem is that “open-world” too often means “filling the game with as many sidequests as possible”, no matter how valuable they are. The main quest remains the heart of the game, but it is set in a dull world that repeats the same settings and the same boring and repetitive sidequests. Recently, two publishers from Japan — a country long renowned for its capacity to create exciting, game-changing video games — have tried to adapt their franchises to the trend of occidental open-worlds. And it wasn’t a good idea. The Legend of Zelda: Breath of the Wild is a critical and commercial success, but it was criticized for trying too hard to copy the mechanics of occidental open-worlds, without innovating the formula in any way. Even more so, Final Fantasy XV suffers from its desire to copy occidental games, depriving itself from the Japanese feel that is essential to the franchise. It probably is my biggest disappointment of the year, as it completely misses the point of its story (a geopolitical conflict between two opposite nations, surrounded by myths, Gods and oracles) to focus instead on the road-trip of four friends aboard a royal car. Most of the game is spent driving their car through a dull and empty region (a few villages and gas stations don’t make a great open world) filled with equally dull sidequests that can be summed up with “Fetch that object for me at point A and then meet me at point B”. Clearly, the developers were not confident enough with their formula since the second half of the game completely abandons the open-world concept in favor of a very linear experience that spans all of the final chapters, thus creating two very different games in one. Eventually it seems like the open-world aspect was more needed than wanted, as it never seems to be a deliberate artistic choice — even worse, it undermines the narrative quality that is supposed to be Final Fantasy‘s greatest aspect. The risk with games that are too long is to lose the player’s attention after a while. Either the open-world is rich and interesting, with a well-written story, and the player won’t drop the controller until he reaches the end of it, or the universe and the quests are boring and the player won’t have the courage to finish the game. “Open-world” should’nt be just a selling argument. It has to be justified in regards to the story and to the universe of the game, otherwise it is just a way of filling the game to satisfy the consumer who spends money on it. Open-worlds are practical from a commercial point of view, as it is easier to add DLCs in a non-linear game. Open-worlds are just another business model. But can that formula continue to work forever? I don’t think I am legitimate enough to decide the right and the wrong of video games. I might consider video games as an art form, but the commercial aspect cannot be denied, and it seems logical that publishers follow the desires of players to ensure their game sells well. People like open-world games, and when done properly, they really are fun (I was absolutely addicted to Horizon Zero Dawn and actually reached 100%, although it relies on a very classic open-world structure). But I am a bit disappointed that open-world games haven’t evolved so much in the past ten years, and that gameplay times are favored to narration. Final Fantasy VII, like other RPGs of its time, was an open-world game that didn’t throw too much sidequests at the player’s face. 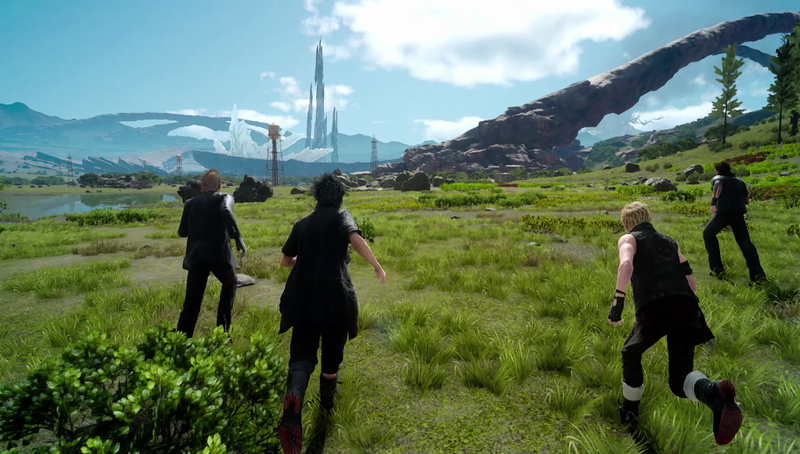 I think I’d like to come back to less of a sandbox-style open-world, but more of the formula of 1980s and 1990s Final Fantasy games. I’m actually replaying Final Fantasy VII (that’s what it takes to get over XV), and I am falling in love again with its universe that is open, but not too much. It finds the right balance, and the sidequests are far more interesting, although less numerous, than in XV. They do not blink on the map with an exclamation point and a message that says “SIDEQUEST HERE”, but that’s why they are good. Sidequests are blended into the main storyline, and that just works better. More recent titles have also managed to find the right balance: Skyrim, Grand Theft Auto 5, The Witcher 3 are games that combine the fun aspect of sandbox games with an intricate storyline and well-written sidequests. Other developers, such as Naughty Dog for Uncharted 4 or The Last of Us, have opted for semi-open worlds, with huge areas to explore, but the right amount of linearity that allows the player to remain involved into the story. These games actually might last longer in people’s minds, as their universe is very coherent, and the narration isn’t compromised by off-topic sidequests. I like open-world games, but only when they are well executed, which requires time and investment. Contrary to linear games, you cannot predict the player’s actions in an open-world game, which means narration and gameplay have to be interesting and coherent all the time. If the universe justifies it, if the quests aren’t too repetitive and that the game doesn’t just hide 300 flags throughout the map, then the open-world mechanic can be very interesting, as it allows to tell stories in a much more immersive way than cinema or literature. It is all about finding the right balance between story and gameplay, as I discussed it in a previous blog post. But please, publishers and developers, feel free not to create open-world games, or we might get tired of it very soon.